If you work takes you to job sites where you're exposed to the potentially harsh elements, then we suggest getting a pair of men's work boots designed with the protection for that type of job: Timberland’s PRO Helix HD Men's Brown 6" TB0A1KPF214 Soft Toe WP Boots ... (see full details) (see specifications) #TB0A1KPF214. If you work takes you to job sites where you're exposed to the potentially harsh elements, then we suggest getting a pair of men's work boots designed with the protection for that type of job: Timberland’s PRO Helix HD Men's Brown 6" TB0A1KPF214 Soft Toe WP Boots, to be exact. These 6-inch brown Timberland PRO boots are constructed with a combination of premium full-grain leathers that are inherently waterproof. To bolster the natural waterproof protection of the leather, Timberland utilized a water-resistant membrane construction throughout the entire design. This impermeable layer locks out elements for a dry and comfortable fit. Comfort is not lacking in these 6-inch soft toe Helix HD boots from Timberland. The men's waterproof footwear features a heavily cushioned anti-fatigue footbed with a fiberglass shank that works to provide superior support. The interior also includes an antimicrobial mesh lining to help fight the buildup of odor. A padded collar and tongue are a part of a durable lace-up system that helps to create a secure and customized fit. Speaking of security, these brown EH waterproof men’s boots are able to withstand nearly any environment. 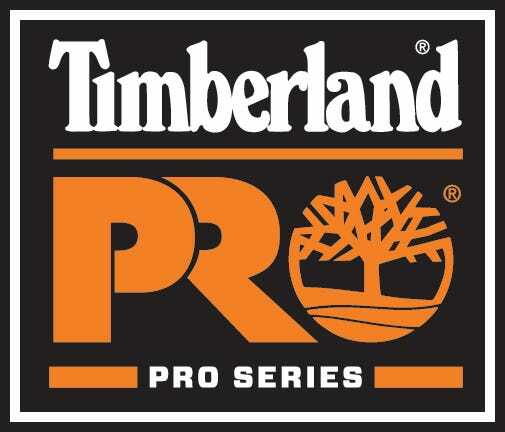 They feature Timberland PRO's rubber outsole that's abrasion-, heat-, oil-, and slip-resistant. This waterproof outsole also includes their trademarked Ladder Lock system for secure footing. These 6-inch men’s work boots also are EH rated for protection against electrical hazards. In addition to that, they're resistant to any bloodborne pathogens you might be exposed to at the job site. If your daily grind puts you in potentially hazardous environments, then you're going to want a rugged men's footwear built with the comfort and protection to withstand such conditions - and these Timberland PRO Helix HD Men's Brown 6" TB0A1KPF214 Soft Toe WP Boots are up for the challenge. Order your pair from us today! Timberland PRO Boots: Helix HD Men's Brown 6" TB0A1KPF214 Soft Toe WP Boots is being added to your cart.